Today is Saturday and most Saturdays I try and spend time at the Rotary Garden. I’m not much of a gardener, but I love to help with this project (we raise fresh produce for the Ashland Emergency Food Bank) and I also like getting to know my fellow Rotarians better. 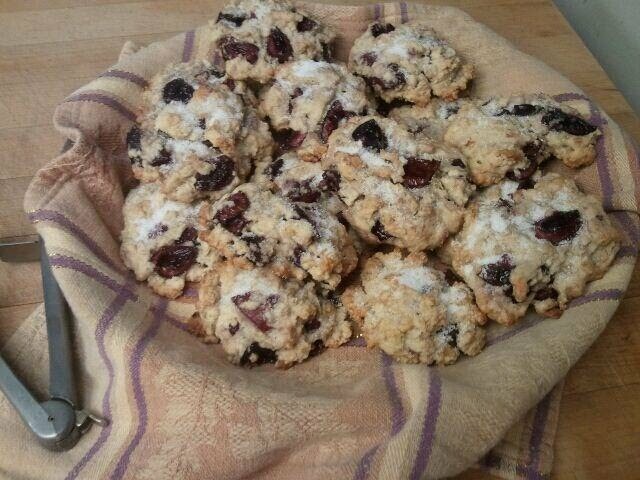 Often I bring a snack for the group and today I made these scones with the last of the fresh cherries that I had purchased. They were really tasty – and the farm crew seemed most appreciative. When I got home from the garden I wanted to make a pie and realized that I was out of pie dough. And a number of people have told me that they cannot make pie dough so I thought I would share my method with you. Now, this recipe makes enough pie dough for 8 pies so you will have to break it down, but mostly I want you to see the process. Now the first step is to get your ingredients together. 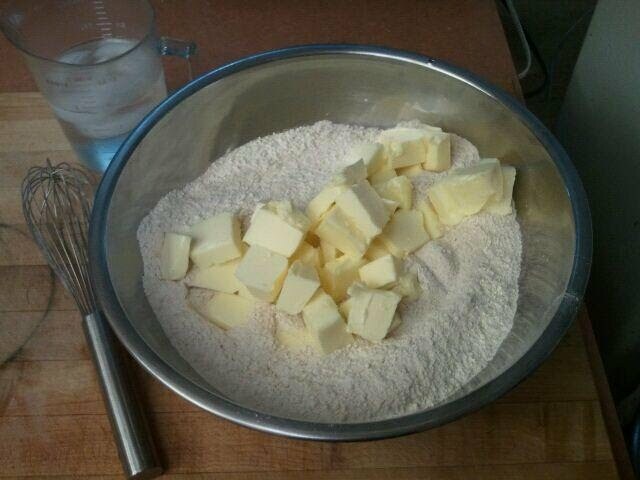 Mix the flours and salt together. Cut the butter into small cubes. 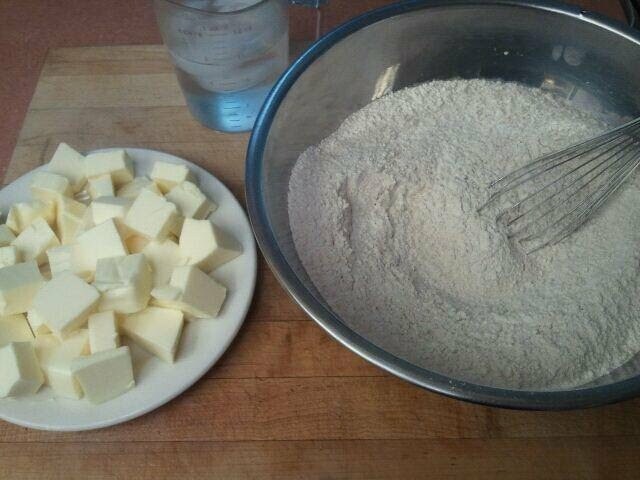 Now, add the butter to the dry ingredients. 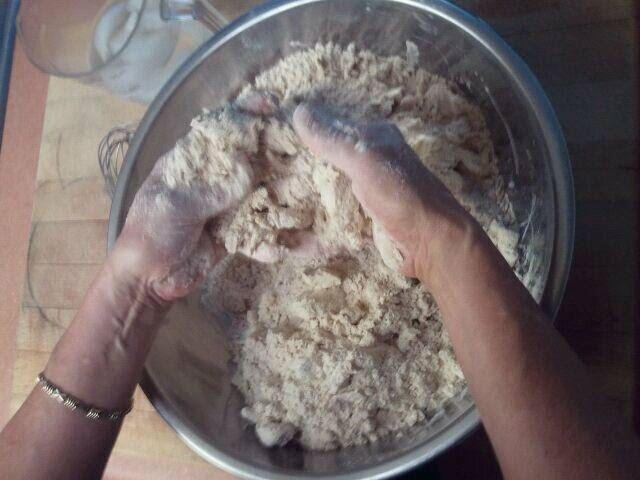 There are many tools that you can use to mix the butter and flour, but today I used my hands. It works for me to do it this way, and I think it’s a good way to do it. 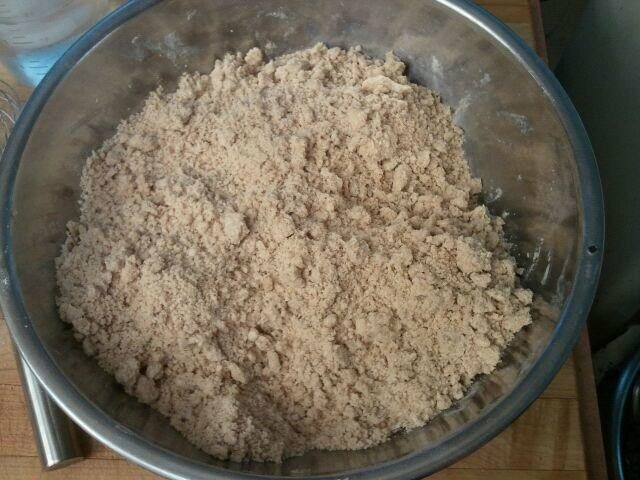 Once the flour and butter resembles this coarse crumb mixture, you are ready to add the ice water. Add the water all at once and mix only until combined. 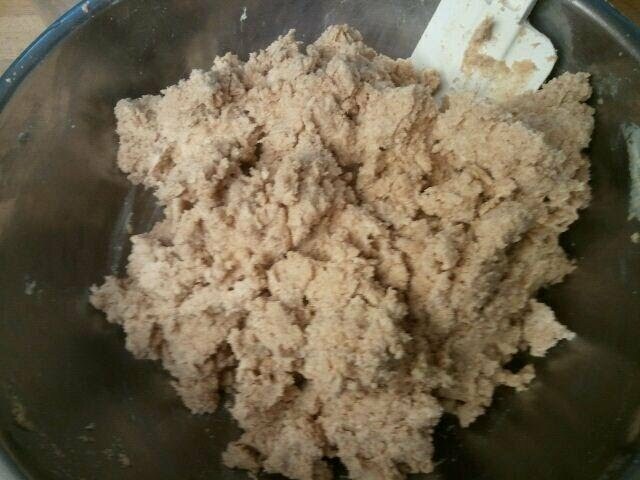 DO NOT OVERWORK THE DOUGH! Gently mold the dough into a shape so that you can divide it into the portions you need. 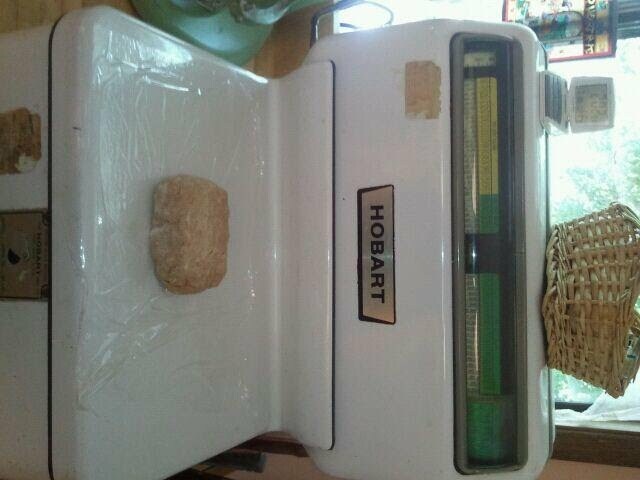 For my purposes I use a scale to weigh my dough portions and from this recipe create 8 portions, each weighing 10 ounces. 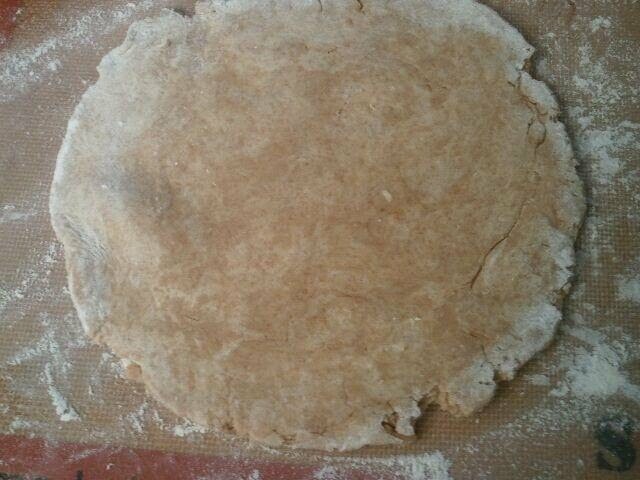 When I am ready to make a pie, I take out a piece of the dough and roll it out. If you look carefully, you can see that the dough is “marbled.” This is good – it means that the crust will be flaky. 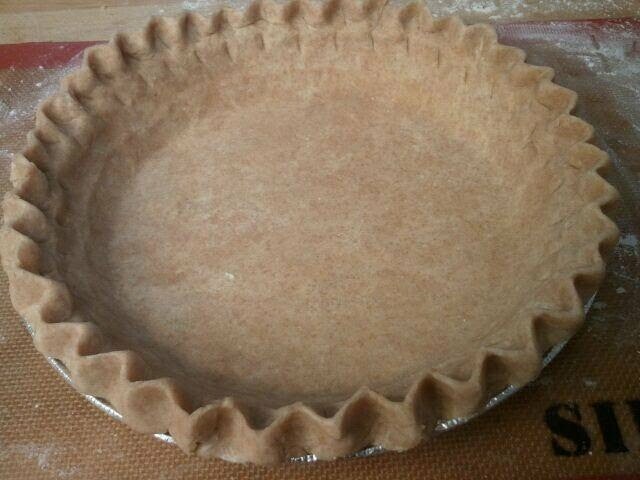 Finally, I flute the edges of the pie crust once it is rolled out and placed in the pie tin. Now I am ready to prepare the fruit for the pie. Today, I cut up some Fuji Apples and tossed them with butter, sugar and a bit of flour and placed them in the crust. I topped that off with crumb topping and popped the pie into the oven while I decided where to take the pie. Yesterday’s pie traveled far, and so it just seemed right that today’s pie should stay close to home, and so after the pie was done I walked less than a block to a neighbor’s house whom I had not yet met. Shirley met me at the door and welcomed me in to talk about the pie I was delivering. It wasn’t long before she told me about the neighborhood before I’d moved here, about the family that used to live in my house, about her life and family. We spent over an hour talking about all kinds of things. When it was time to go, Shirley thanked me again for the pie and said, “I bet you’re making all kinds of friends doing this (giving away pies).” And I’d have to say, that at the very least, the people who have received a pie know that I care about them. And that’s a very good thing.